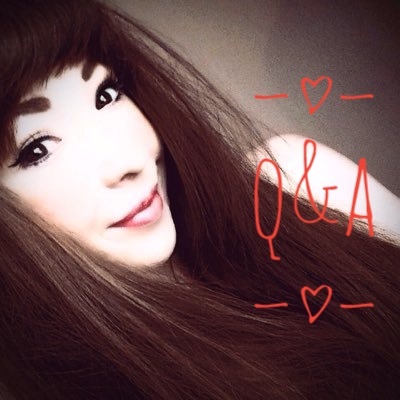 First up in my valentines Q&A week is Rebecca Pugh, this lovely lady has been my friend on twitter for so long, she is always there with a cheerful and supportive word to everyone she comes across, shes an author to one of the best books i have ever read. So when she said she was happy to pop on Afternoonbookery for a few questions i was elated. Lets get into it then. Thank you so much for the invite! I am delighted to be here. Ooo, I’ll have a nice cup of coffee please. That’d be smashing. Fantastic, ill pop the kettle on, whilst we wait, do you mind if we have a quick chat? Nope, okay here goes. So as a sugar sweet writer, how are you planning on spending your valentines day? As much as I LOVE all things romance and sugary sweet, Valentine’s Day has never really been a massive thing that my fiancé and I celebrate. We get each other a cute card every year, but nothing too over the top. I think this year, we’ll probably go out for a nice meal together, and that’s more than enough to make me smile. True, thats it, i read alot about romance but at the end of the day, im happy cooking us a meal with want and then probably watch a film or documentary. Oh yeah, she is one of my all time favourite authors - every time she replies to a tweet i fangirl a bit, her books are wonderful! Out of all your lovely leading characters do you have a favourite? Hmm, great question. I’ve got to say that I love Mia Chapman in A Home in Sunset Bay. She works so hard and has a lot of responsibility to deal with and, although she struggles beneath it sometimes and will never admit it, she soldiers on, pushing her own wants and needs aside. Still, she gets her happy-ever-after and then some. A Home in Sunset Bay was one of my favourite reads and i totally get what you are saying! She is strong willed and powers through to get what she deserves. Who is your go-to author for romance? I mean we all have them. Those who you know are just going to be awesome! 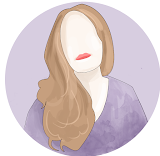 As I mentioned above, I think Sarah Morgan is my top go-to author for romance. Along with Sarah, there’s Holly Martin, Cathy Bramley, Sophie Kinsella, Mandy Baggot and a whole lot more that it would take me forever to list. I love all of those, for those who havent tried those authors, they are a great starting point for some lovely romance. So tell us about right here waiting for you? I see its already to pre order, I cannot wait! Hurray! Thank you so much for your excitement. I can’t wait to share my next eBook either. So, Right Here Waiting For You is a story predominately about friendship and learning to forgive, but of course I’ve sprinkled a lot of romance in there too, as always. Magda and Sophia were best-friends once upon a time, and grew up side-by-side, sharing those whirlwind teenage years together. You know what I mean. The years full of gossiping, laughter and first crushes. That is until Magda left town without a backward glance. Now, she’s back. Her dream of a perfect life alongside her husband hasn’t turned out quite the way she had imagined it would. In fact, she’s miserable and lonely, and aching for the care-free days she shared with her best-friend all those years before. But unfortunately, things are never quite as simple as they seem. Something tore them apart back then, and it’s going to take more than just an apology to fix the friendship they once shared. It’s a tale of friendship, love and learning to let go of the past no matter how much it hurts to do so. I’m so excited for the release on April 19th, and can’t wait to see what yourself and other readers think of it. Sounds wonderful, i am sure there will be a review on here with my thoughts non the less! I’d like to thank you for inviting me onto your gorgeous blog today. It’s been such a pleasure to chat with you. Wishing you all a wonderful Valentine’s Day, no matter how you may be spending it. Happy Valentines Day - Thanks for stopping by! Rebecca Pugh grew up in the green county of Shropshire. Not an immediate reader, it took her a while to find her way towards the wonderful fictional worlds hidden between the pages of books. Ever since, she’s fallen under the spell of countless authors and the tales they've weaved. Her favourite authors include Jill Mansell, Cathy Bramley, Sarah Morgan and Holly Martin, to name but a few. She loves nothing more than tapping away at the keyboard, taking her characters from imagination to page and, when that isn’t the case, she adores curling up with a good book. Rebecca is a fan of fairy tale romances that sweep you off your feet, dashing heroes and strong, lovable heroines. She can’t make up her mind whether she prefers a countryside escape, or a love story set in bustling New York. Either way, she’s more than happy to disappear into both. When it comes to her own writing, Rebecca aims to whisk readers away to desirable locations, where they can meet characters who, she hopes, will begin to feel like friends. With a dash of romance here, and a shake-up of things there, she loves dreaming up stories and watching them come to life. Great post with one of the most friendly people iv had the pleasure of meeting via social media.